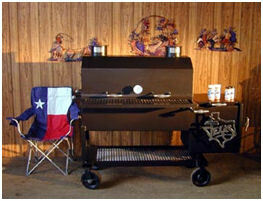 Tags: barbecue, bbq, outdoor kitchen, smokers. 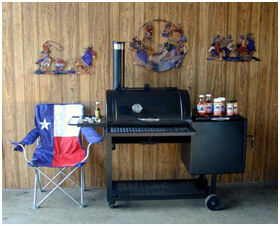 CAPACITY: 900 SQUARE INCH Cooking Area in Main Chamber. 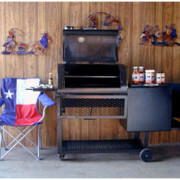 400 SQUARE INCH Meat-Rack in Firebox. 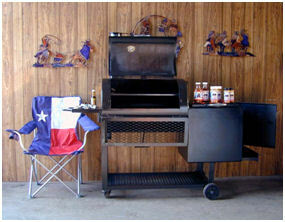 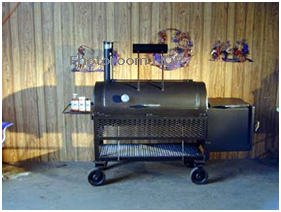 Here is a 20″ Diameter by 30″ long smoker with a 20″ by 20″ Square Firebox. 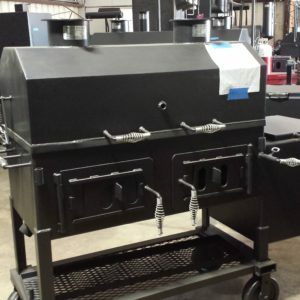 ash-pan with curved lip for easy ash-clean-out, & sliding air intake shield.